We are Indian. We are very fond of street foods and chaats. They are tasty and inexpensive, but are also infamous for being healthy. Many people avoid eating street foods like chaats, golgappas, bhelpuri, and vada pao just because spicy and oily street foods can create tummy troubles. But you need not to worry. We have got your back. You can enjoy the delicious chaats and golgappas without any fear in your mind. 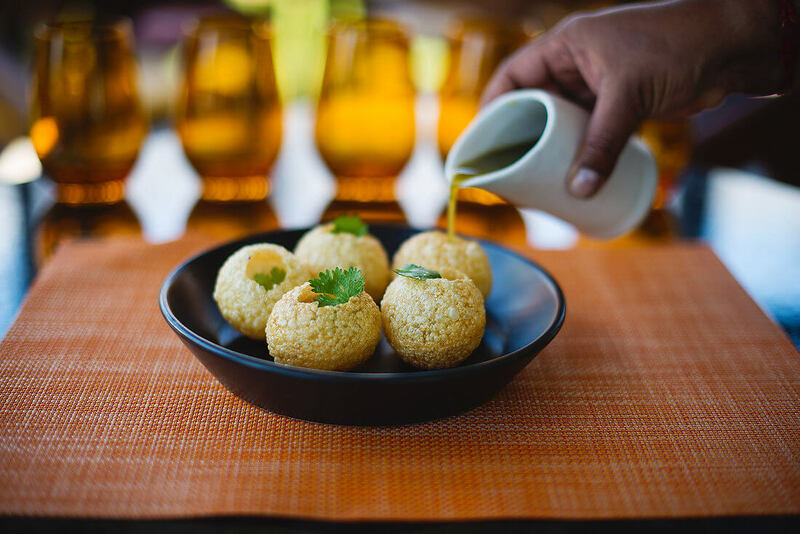 Here we are sharing the best 10 tips on eating street foods and chaats in India without having tummy troubles. If you want to enjoy the delicious and spicy Indian street foods and chaats without worrying about an upset stomach then this is the perfect guide for you. If you want to enjoy your favorite delicious street food especially in a new city then eat at the place where more and more locals eat. Look for the places which are popular among locals of the city. You can ask your neighbors or other locals for same. Eat your favorite food item from the stall or outlet which is extremely popular among locals. Now-a-days, some organized street food outlets also have been in the market. Prepare to eat at a renowned brand if you truly want to enjoy very delicious and healthy street foods and chaats. Street foods can be of both types – vegetarian dishes and non-vegetarian dishes. You can go with any one. But our advice is to go with vegetarian dishes, especially when it comes to street food. We are suggesting you to eat vegetarian street food dishes because non-vegetarian dishes may cause to trouble tummy. You cannot say exactly how long the meat has been sitting before it was used to prepare the dish. We are not saying that all non-vegetarian street food dishes are not good but you should take care of yourself. If you want to enjoy non-vegetarian street food dishes then prepare to eat at an outlet or stalls of a renowned brand. You can also eat at the stall which has crowd. The crowd around the stall indicates that food item moves fast and it is unlikely that there is any stale food being sold. Most Indian tikkas and kebabs are marinated for hours to get their soft and juicy tastes. So, don’t mistake the marinated food items hanging on skewers for stale food. When it comes to eat healthy street food whether it is vegetarian dish or non-vegetarian dish, judge the quality of food item on the basis of cleanliness. You should definitely avoid the place or food stall where the person is using dirty knife, wearing dirty clothes and handling the food stuffs without wearing gloves. So, eat at the place where cleanliness and hygienic parameters are well-maintained. Foreigners should avoid taking the street drinks which are not hot. Say a big NO to ice base drinks basically on the street. It is because there could be chances of water not being boiled. Don’t just enjoy the ice based street drinks because locals are enjoying the same. Keep in mind, locals are used to that water but foreigners cannot. Samosa and Vada Pao are popular street foods. They are served with sauce or chutney. You should avoid chutney or sauce served with a samosa or a vada pao. There could be chances of chutneys are made with tap water and could have been uncovered for quite some time. Prefer to eat the food item that is grilled or boiled. The perfect example of grilled or boiled food items could be grilled bhutta (corn), boiled or baked sweet potatoes, and boiled sweet corn. Many people are afraid of eating those street food items which are re-fried. But it is not bad at all in some cases. There are some items which are partially cooked or fried. They are fully fried when the order is received. Re-frying food items will kill the harmful germs. The perfect example of such street food items are Besan Pakoda, Paneer Pakoda, Bread Pakoda, and Aloo Tikki. Whenever you feel yourself very hungry then it would be better option to buy fresh fruits or veggies than of going to street food stalls. But make sure, you wash your fruits and veggies with clean water before eating. You can prefer bananas as you will not have to wash the bananas before eating them. Additionally, bananas are very healthy and a great source of energy. You can also prefer for eating oranges. Tea is one of the favorite street food drink. You can find it in almost all the cities and towns of India. Whenever you order a cup of tea then make sure you get it in a paper cup. Don’t take your tea in a glass or cup which is dirty. Juice is another popular street food drink. However you should avoid taking juice from a street side stall because chances are their juicer machine is not properly washed. But still you need to take juice from a street side stall make sure the juice is prepared in front of you and the machine is properly washed with clean water. Prefer to take the juice in disposable glass. Don’t blame street vendors if you fall sick by eating street foods and beverages. Just be a little careful and choose the place that maintains cleanliness and hygienic standards. Chaat Ka Chaska is one of leading chain of street foods serving restaurants in India where you can enjoy a range of healthy and delicious street foods & beverages.